Strategically placed on the extreme north east tip of the Scottish mainland and is in close proximity to the offshore wind sites in the Moray Firth (8 miles) which are being developed by BOWL and MORL. 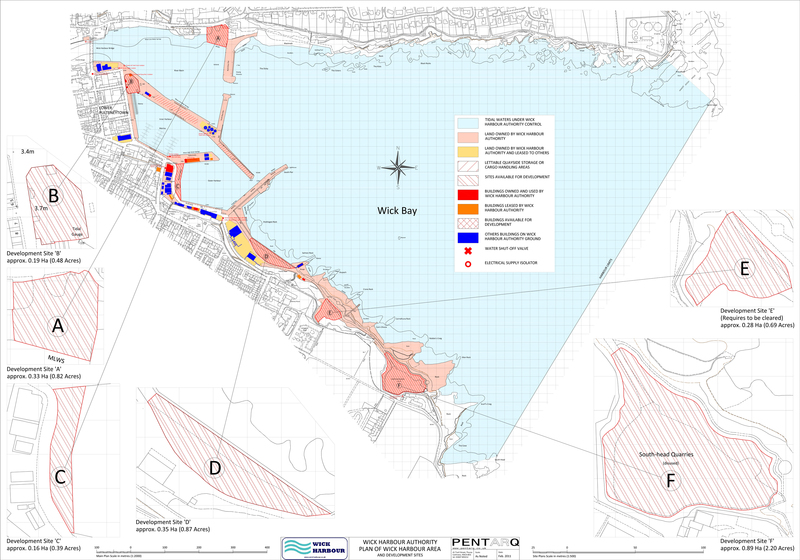 The port is also ideally placed for access (16 miles) to the tidal sites in the Pentland Firth planned by MeyGen and SPR. Wind turbine components for various developers are often handled at the port. Large structures e.g. a helideck and an access bridge have been fabricated on quay and shipped offshore. Wick has been chosen as the O&M port to service the Beatrice project in the Moray Firth and has an MoU in place with MORL as potential O&M base. 2016: Planned redevelopment of Outer Harbour area to provide O&M Bases for two major offshore windfarms, with new offices, stores, control rooms, and welfare facilities for 150 personnel. Pontoon facilities for multiple Crew Transfer Vessels with all utilities on-berth. High water protection gate on main entrance to control swell in adverse conditions. 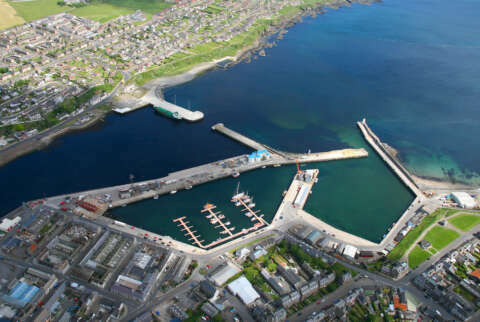 Mid Term: construction of new Shaltigoe breakwater on south side of Wick Bay to provide deep water facility (9 -13m), for O&G servicing, offshore decommissioning, future renewables construction work, and general cargo handling. Long Term: Construction of matching breakwater on north side of Bay to create large sheltered facility to enhance and expand the above activities.